We have been using Stevens Company for the past 13 years on a variety of plumbing needs in our house. They always provide great service, are courteous, competitive rates and pleasant to work with. After being disappointed by 2 other plumbing companies D H Stevens resolved my main drain line backup within 2 hours. They were courteous and explained in detail the process they were using to determine the cause and what tools they had to remedy it. 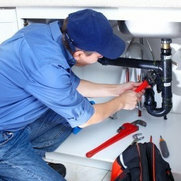 I now know I have an honest, dependable, skilled and experienced plumbing company to meet all my future plumbing needs. I am very grateful. Unbelievably courteous, efficient and effective. The best part was the more than reasonable price they charged.